It’s time for the Queen’s official birthday parade, Trooping the Colour, the biggest royal gathering of the year so far and a second opportunity in 2018 for the Windsors to showcase their chapeaux. 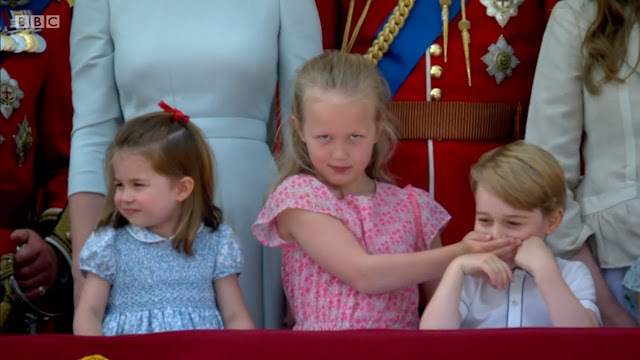 And maybe showcase a little of their own royal kiddo antics. Can’t let the Swedes have all the fun, you know. 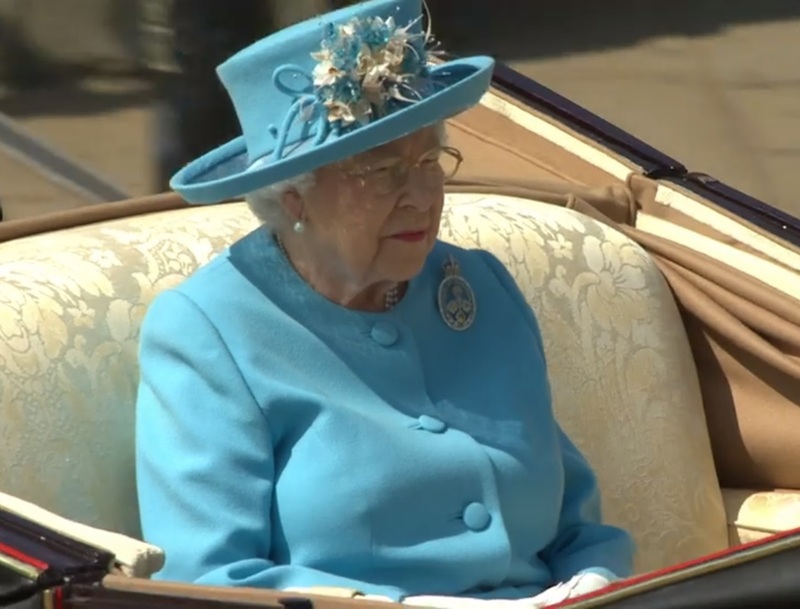 The Queen led the way on her official birthday in light blue with her usual brooch selection, the Brigade of Guards Badge. It’s a symbolic choice tied to the regiments that perform this ceremony; you can read more about the brooch as well as the Trooping the Colour event here. Her Maj was well accompanied despite the absence of the retired Duke of Edinburgh, thanks to the members of the royal family that serve as Colonels to the Household Division regiments riding behind her: the Prince of Wales (Welsh Guards), the Duke of Cambridge (Irish Guards), the Duke of York (Grenadier Guards), and the Princess Royal (Blues and Royals). It was the Duke of York’s first time participating on horseback; he took over as Colonel of the Grenadier Guards from his father. The Duke of Kent (Scots Guards) no longer rides and instead accompanied the Duke and Duchess of Sussex in their carriage. Any time the Cambridges appear with the kids, you know the Duchess will be orchestrating some sort of color coordination within their group. She started off outside the Cambridge circle by inadvertently matching her Alexander McQueen dress and Juliette Botterill hat with both the Queen and her carriage mate, the Duchess of Cornwall, who was repeating an icy blue ensemble from Bruce Oldfield and a Philip Treacy hat. Absolutely one of the best from Camilla’s current outfit rotation there. 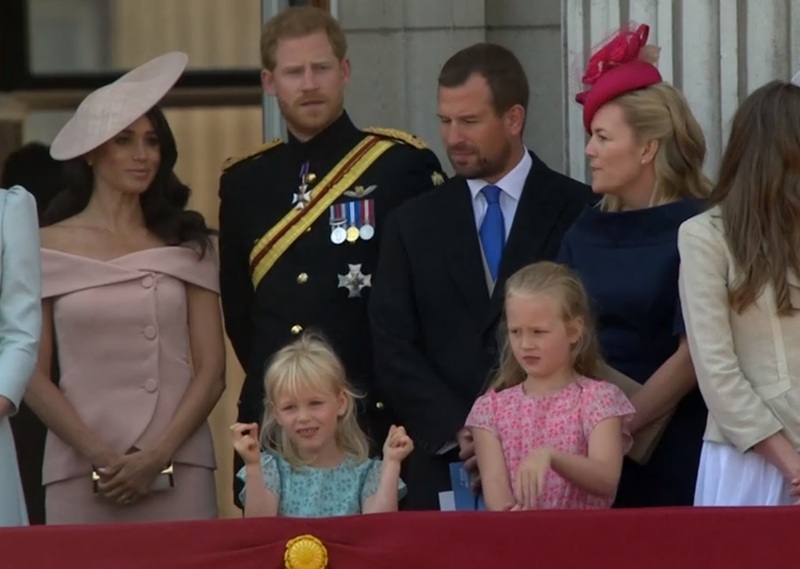 The Duchess of Sussex made her Trooping the Colour debut and her Buckingham Palace balcony debut in a pink dress from Carolina Herrera and a pink hat from Philip Treacy. 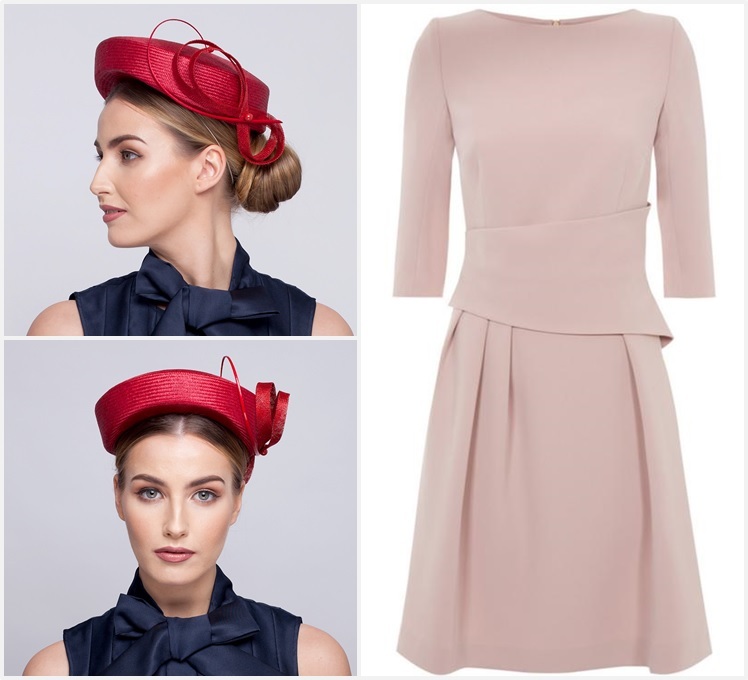 Repeating her color palette from her first post-wedding appearance, this hat is so close to the same that you have to examine things closely to determine that it is in fact a different hat. I’m really not a fan of the whole “two things nearly the same but not” deal. There was a treasure trove of sartorial interest in Carriage #3, carrying Princess Beatrice, Princess Eugenie, the Countess of Wessex, and Lady Louise Windsor. 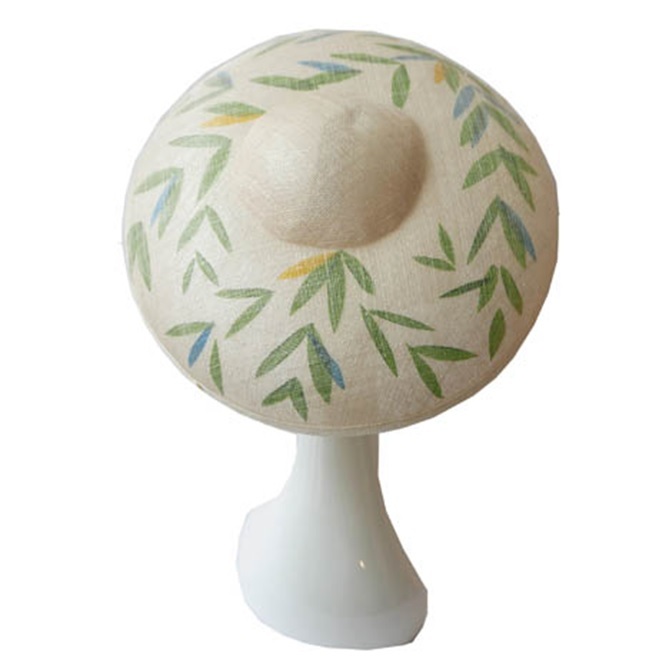 Sophie’s got the intriguing cutout category all to herself (thankfully), in this Emilia Wickstead repeat from last Ascot, while the York sisters own two of the most interesting hats on the balcony. 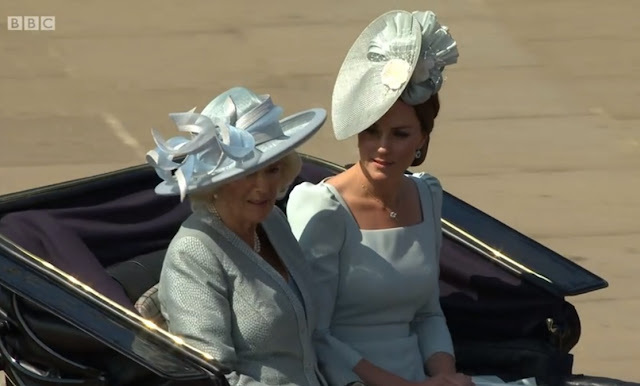 Eugenie might have my favorite hat of the day, for the combination of brim and interest and the way that lovely green dress coordinates. 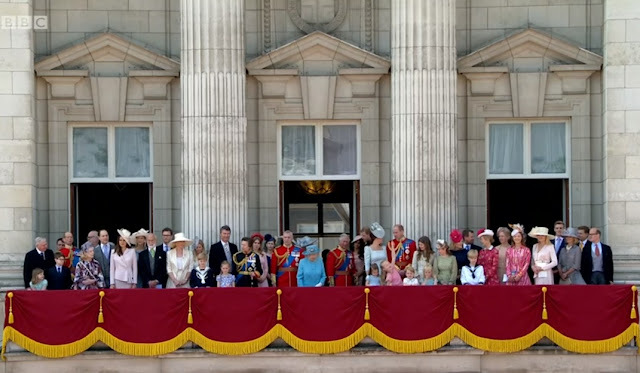 Oh yes, wasn't joking about this being the biggest royal gathering of the year. 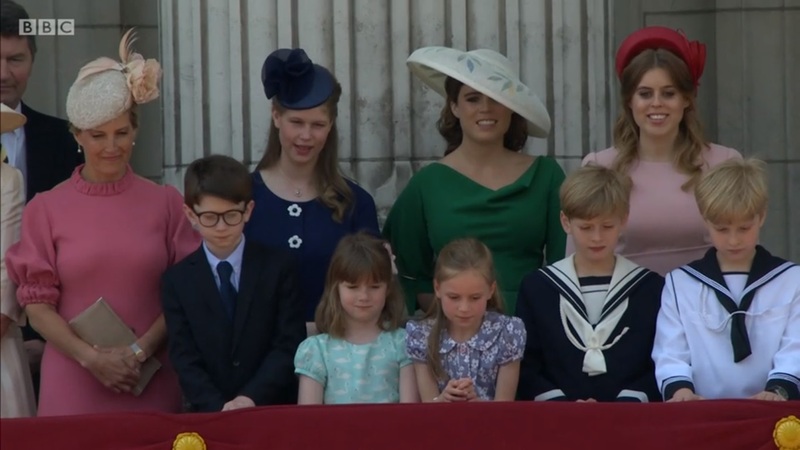 (Bigger, in terms of numbers of family members, than the recent royal wedding.) I may add some close ups later, but for now, I'm leaving the identifying to you all. 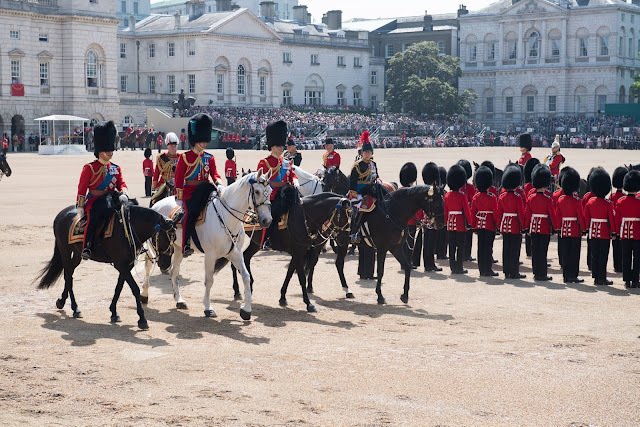 Who takes home your prizes for Trooping the Colour 2018?